If you're scrolled through my Instagram account, you've probably noticed a trend in my accessories. Hint: It's almost always BaubleBar! I just love how unique and fun their pieces are. 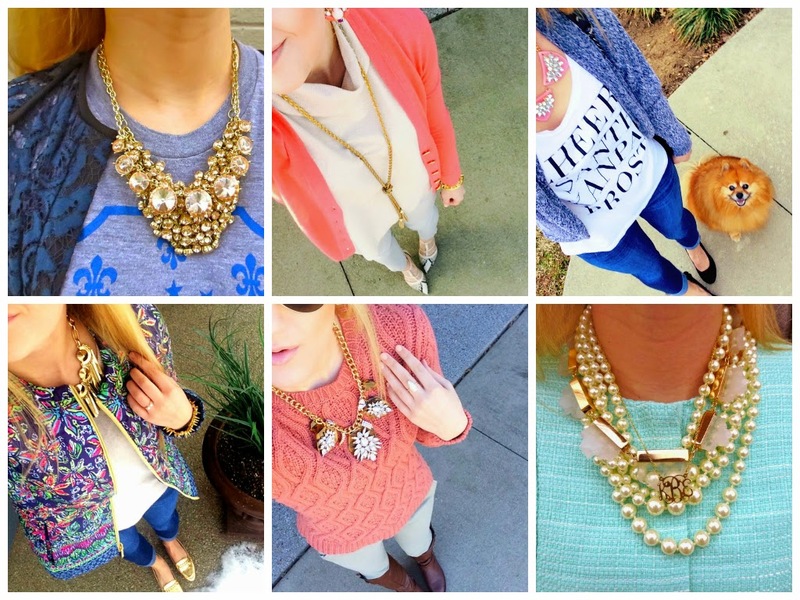 I would characterize my style as "casual chic" and their necklaces are a perfect way to pull off this look. I can have on a casual graphic tee then add a piece of theirs and suddenly it's a fun style moment. They've just added a few pieces to their selection so make sure to check them out today! If you've never ordered from them before, you can enjoy 15% off your first order by signing up for their emails. Trust me -- it's worth it! You get all of the inside scoop when they have sales or new items added.